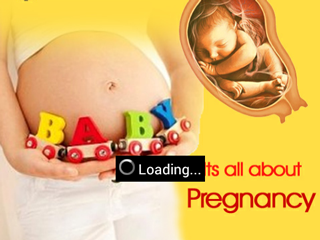 Pregnancy Calculator- Make life simple by using a pregnancy calculator. It is a simple calculator that will help you to know your due date of delivery, conception, and other pregnancy events. Why must you use this? Because it could prepare you for what is to come in the future, it predicts events of your pregnancy that would finally end with the delivery of a new born. The estimate is done based on the last menstrual period and the estimated date of conception. The calculator adds 40 weeks to the approximate first day of your last menstrual period to the day of ovulation. Tracking pregnancy has never been so easy and fun! Check out this list of cool Android and iPhone apps to track your pregnancy progress. From time tracking your labour to telling you about the signs of labour, these pregnancy apps are sure a keeper. Pregnancy Care App on Android by Jagran Prakashan Ltd. brings you a variety of helpful tips to make sure your pregnancy stays safe throughout the term and beyond. When you don’t know what to expect when you're expecting, turn to plenty of pregnancy apps available that can help moms-to-be prepare for pregnancy. To determine the number of pregnancy weeks you have completed, you should first know your conception date. Ask your doctor for help if you are confused. Pregnancy Due Date Calculator - Pregnancy calculators are mainly used to find out due date and date of conception. This article includes details on how to use pregnancy calculators.